Gjon Mili (1904 – 1984) was an Albanian-American photographer. He collaborated with Harold Edgerton of MIT and used flash and strobe techniques in his work. He is best known for the work he published in LIFE magazine including images of Pablo Picasso's light paintings. 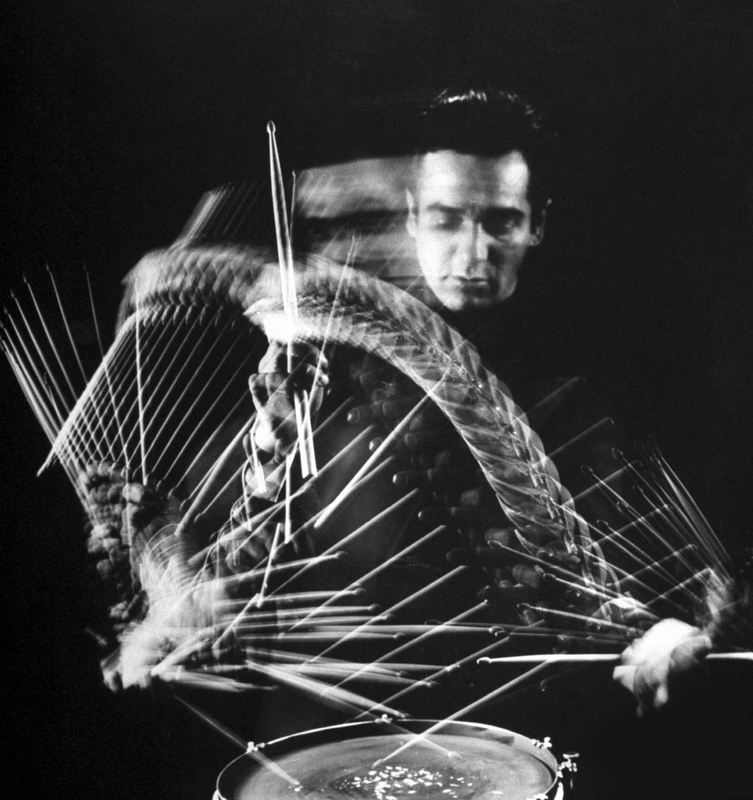 Below is one of a series of images that Mili took of jazz drummer Gene Krupa in 1941. Those interested in what Krupa is doing might want to check out Percussion Instruments and their History by James Blades from 1970 (HERE).